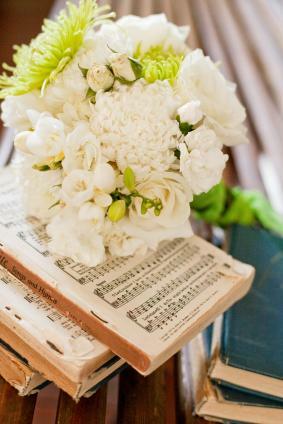 Consider playing traditional hymns in your wedding ceremony for a personal touch. If you aren't sure which hymns to include, a list of popular choices will help you decide. There are plenty of traditional wedding hymns to select for your big day. Choose songs that are meaningful to you as a couple and that will add a special touch to your ceremony. Song selections can be tailored to different parts of the wedding ceremony such as the prelude, lighting of the unity candle, during communion and after readings and prayers. This is a good time to include hymns that the couple has enjoyed over the years, even if the lyrics don't directly relate to a wedding service. 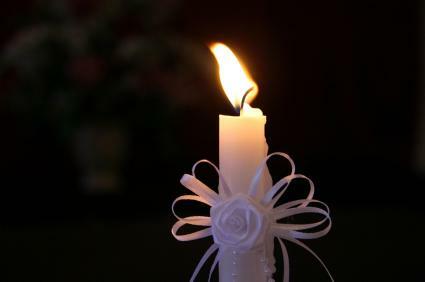 Many couples incorporate lighting a unity candle in their ceremony. There are hymns that can be used for this purpose and will add a special touch to this meaningful gesture. Show that your two families will be united as one with hymns that can be sung such as Amazing Grace, When Love Is Found, and Ave Maria. Love and devotion to God are are usually the main significance of the hymns during this time. After prayer or during communion, many couples wish to incorporate a hymn. During these times, hymns can be sung or instrumental. Many use vocal versions after a sermon or prayer and stick to instrumental versions during communion. The recessional hymns often signify going forth and spreading the word to others after the service, and have an upbeat tune that is associated with happiness. Many couples use traditional wedding hymns for their ceremony. With the large selection of music available, it can often be a challenge to find the right hymns for your wedding. If you are planning a church wedding, be sure to check with the clergy or music director for any restrictions. Most Jewish, Protestant, and Catholic hymnals will include a section with appropriate songs. If you have a wedding planner, she should be able to help guide you as well. When deciding on hymns to use for your wedding, think about the meaning behind each one and what you are looking to convey. Hymns are a great way to get the guests involved in the ceremony and by choosing traditional ones will allow them to join in familiar song. Before you commit to any hymn for your wedding, you will want to preview it to make sure it is what you want. You can do this online by visiting a site such as iTunes or Amazon and simply type in the name of the hymn you are interesting in hearing. You can then preview it for free.